We ain’t talking about nappies! An interesting package arrived through the post for us over the Easter Weekend and it wasn’t an Easter Egg! In fact it was much better than that. 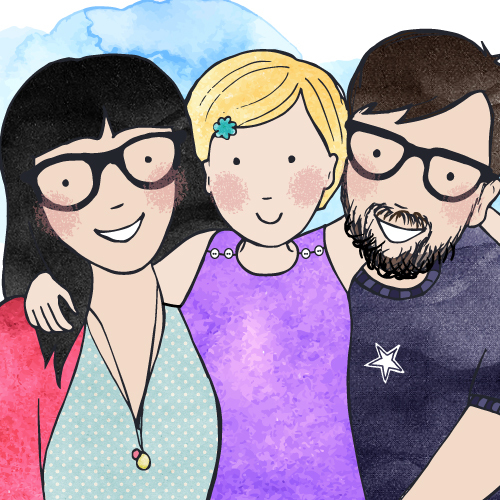 A lovely selection of children’s products from the fab Lala & Bea have been sent through for us to review. 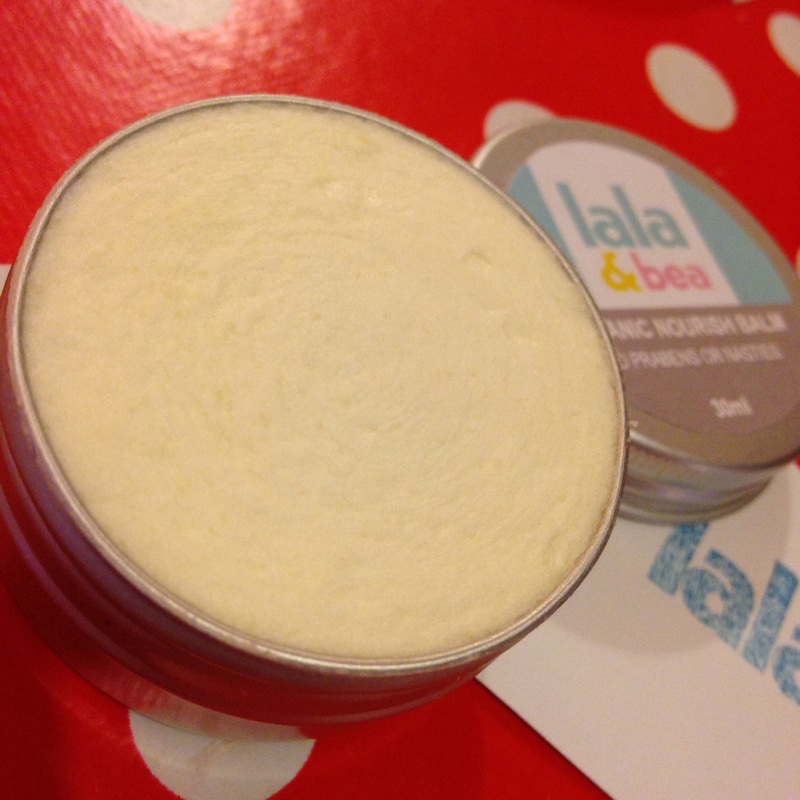 It includes an Organic Nourish Balm, which comes in a handy travel size tin. 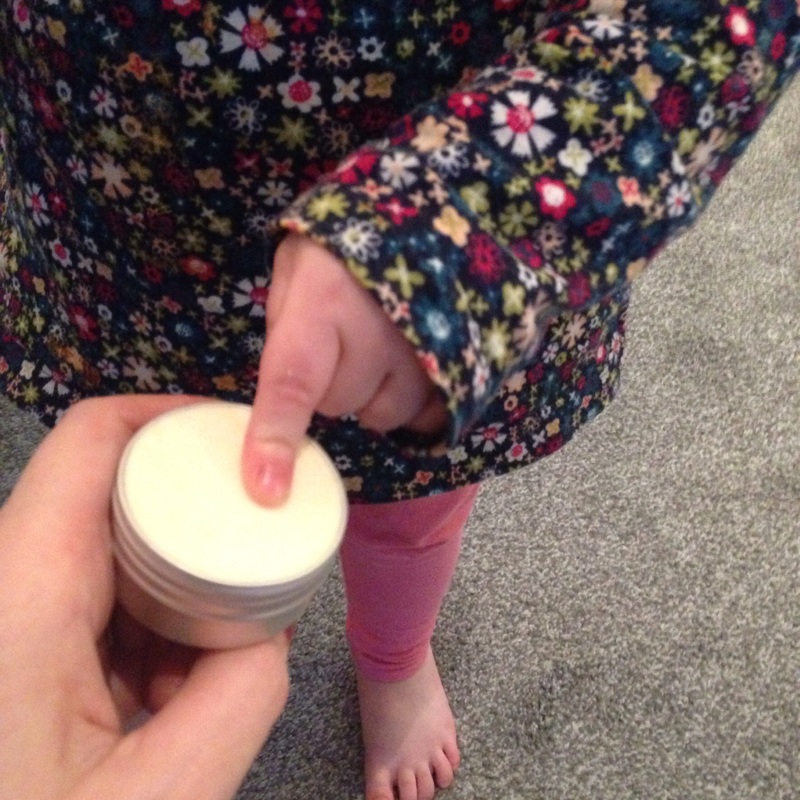 My mummy has a balm and I see her use it on herself from time to time, but now I have my own. You see it’s been specially formulated for children using the best of everything! Free from synthetically produced parabens (that’s a chemical filler that stops bacteria growing in cosmetics to me and you) and using only natural ingredients like Rosehip seed oil which helps sooth and soften skin. I’ve used it on my bottom and tops of my arms as they get itchy and sore. It puts a smile on my face and it smells heavenly! Even my mummy nabbed it for her flaky elbows and chapped lips urgh! I saw her admiring her appearance in the mirror yesterday! I next clapped eyes on the Organic Nourishing Oil, a calming and relaxing massage oil. But before I know it mummy’s snatched it from my grip “Yes!” My mummy shouts, one for her! 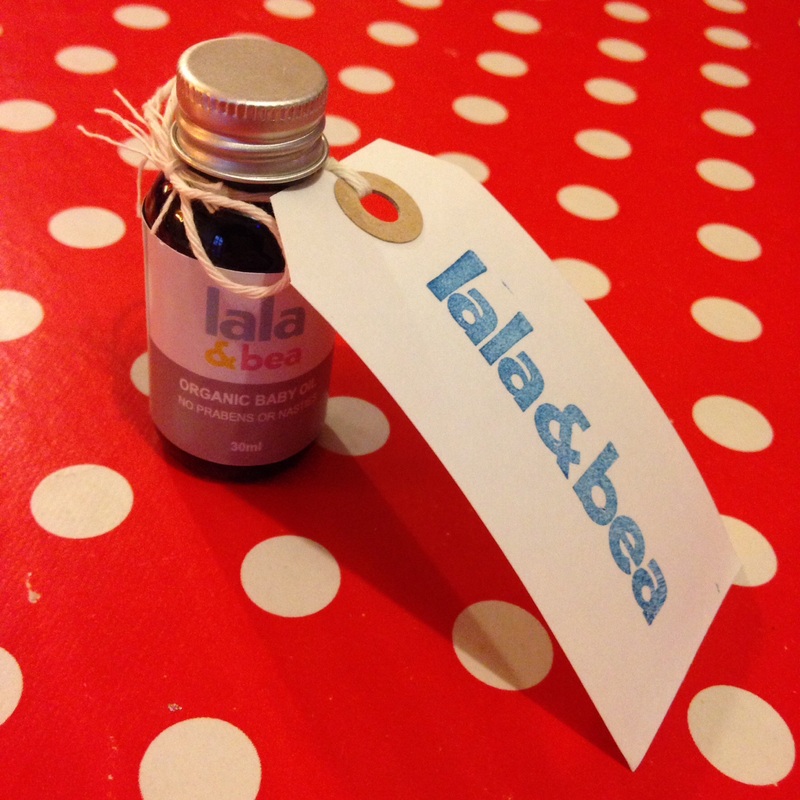 This is the only adult only product in Lala & Bea’s range as it contains aromatherapy oils which are perfect for adults but too strong for babies. It also contains Rosehip Seed Oil, Oat Oil and Vitamin E. My mummy is going to get daddy to rub it into her shoulder tonight because of its anti-inflammatory properties. Ooer I say! 😉 it also smells very ‘spa-like’ a lovely little treat for my mummy. I too have my own Baby Massage & Bath Oil. O.M.Gosh the loveliest smelling product out of the lot! If we could put a scratch and sniff into this post we would. Trust us. Amazing smell. My mummy runs it under hot running water for my ‘spa’ bath. It is naturally hypoallergenic and contains a whole host of antioxidants. It’s Very luxurious! The Baby Massage & Bath Oil also contains Roman Camomile oil, Jojoba plant extracts, Vitamins A,D and E. All these wonderful oils help with softening my skin, moisturising it and making me feel very relaxed and…..sleepy. A perfect bath before bed. The smell wafting up from the hot bath water also makes daddy relaxed and calm, great for a stress free bedtime routine. 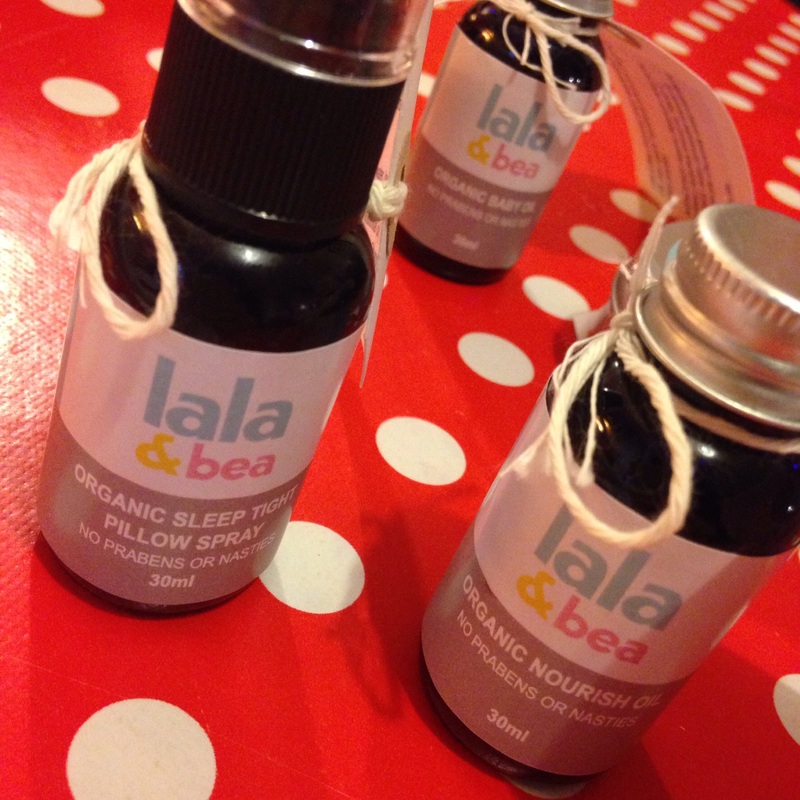 Last but not least, finishing our wonderful ‘spa-like’ treatments with Lala&Bea, the whole family has a spritz of the ‘Sleep Tight Pillow Spray’. Not just for us babies you see, my mummy suggests that daddy sprays it onto his pillow too. You see he hasn’t been sleeping that well and because this contains Lavender and Ylang Ylang it helps to induce a sleep like coma (well his Vodka and Coke probably helped as well 😉 joking aside the smell from the sheets is VERY relaxing. 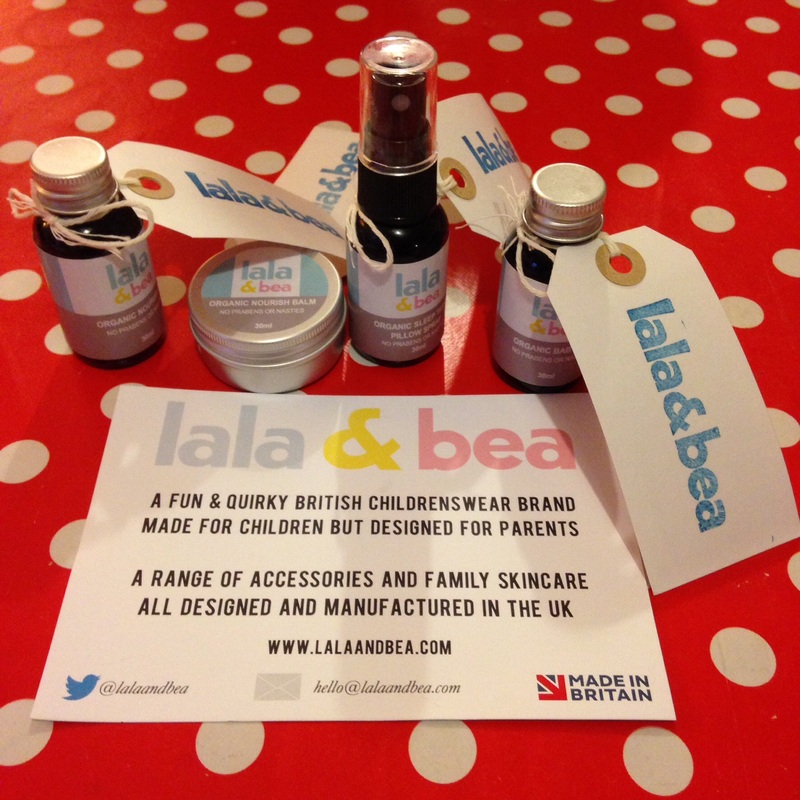 A lot of products here from the Lala&Bea range and what we’re most impressed with is their attitude. Their philosophy is great and we’re also firm believers in trying to source products that are made in the UK, helping to support local businesses and cutting down environmental impact. The design and pakageing is simple but eye catching as they let their products do the talking and we are listening….if we can keep our eyes open long enough not to……Zzzzzzzz. Rubbing my lotions and potions on! If you want to feel relaxed and use top quality skincare for babies and adults then this is the place for you. Yes the prices are expensive but you get what you pay for and who doesn’t deserve a little treat once in a while. Go on give yourself a spa treatment at home today! All you need is someone willing to rub your back!